The Hotel has 25 bedrooms: 4 spaciou Suites and 21 large bedrooms divided into Superior and Standard. The rooms are furnished and appointed in the creative and artistic tradition of the Gallura coast, and all have modern en-suite bathrooms to ensure our guests have a truly pleasant and enjoyable stay. Over two floors on a hexagonal footprint, rooms look onto the swimming pool located in the central area. Superior Suites and rooms have a either a loggia or balcony. 20m² These welcoming and cosy rooms are painted in pastel colours and decorated in the Gallurese style. 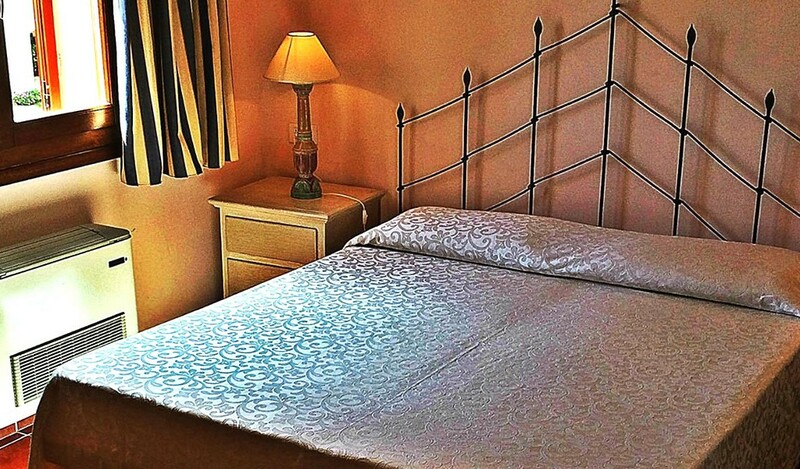 The standard rooms measure 20m² and are ideal for those who love to holiday in complete comfort. The large bathroom is equipped with shower and toiletries. 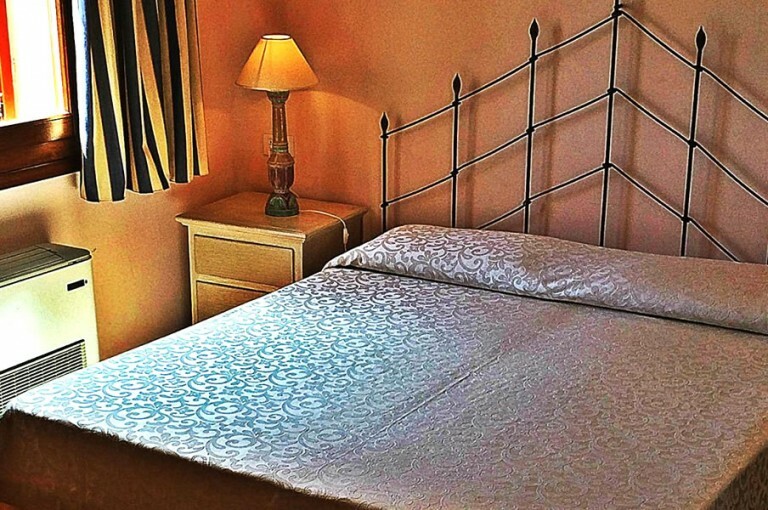 Double bed or two single beds upon request. 26m² Bright and large, the Superior rooms are decorated in the Mediterranean style with terracotta flooring and porch or balcony overlooking the pool. Large, private bathroom with shower and toiletries. Two of the Superior rooms are suitable for disabled guests and some of the rooms have their own entrance (available upon request). 58m² Splendid open-plan suite, measuring 58m² and decorated in a very sophisticated style. The suite includes a large bedroom and salon area. It is a bright and fully-furnished space, leading out onto a covered veranda. The bathroom is equipped with a large bath and extra-large shower. 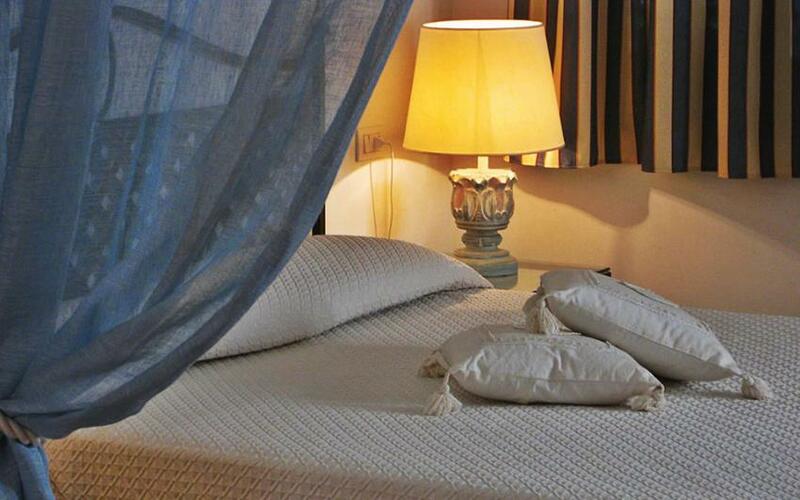 42m² Perfect for an exclusive and romantic stay, the Suites are bright and elegant. They include a bedroom and a large separate salon, and come with a porch or balcony with a splendid view of the pool. The large bathroom is equipped with a bathtub and hydromassage shower (only the Grecale Suite). An extra TV (32" and 42" LED) in the salon area.